In this charming and witty 1960s comedy, an unemployed writer, William, arrives at a newspaper office for a job interview only to find himself surrounded by an odd collection of hostile characters. 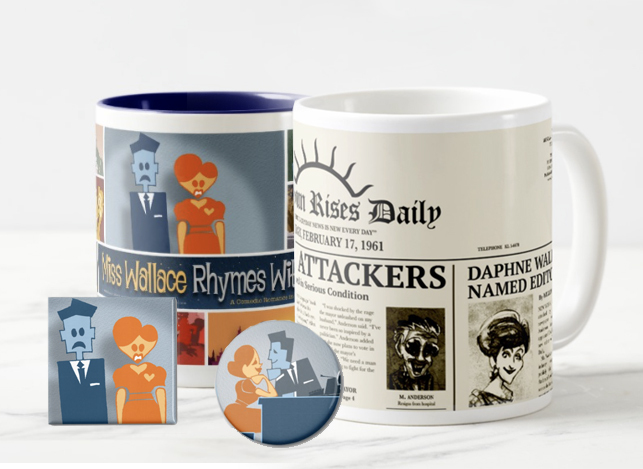 Each character is bent on attacking Mr. Anderson, the Editor of the paper, with personal or professional grievances and the only thing between the throngs and Anderson is Miss Wallace, who sits behind the reception desk. Miss Wallace and William decidedly choose the wrong time to fall in love as the lobby is stormed by the corrupt Mayor and his cronies, a mob of protestors, and all three of Anderson’s wives – or specifically – his current, ex, and soon-to-be wives. But, no matter how outrageously loud and crazy the outer office becomes, the Editor’s inner office remains strangely still and silent.